Never underestimate the importance of your footwork, especially when it comes to evading opponents and missing those crunching tackles heading your way. 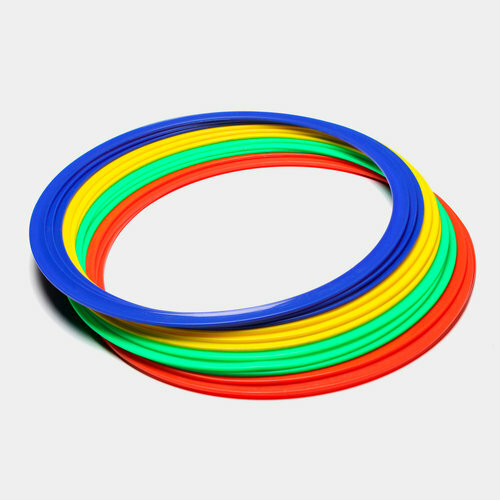 Made by Mitre, this set of 12 Agility Training Rings allow you to set out various training routines and really focus on those fast feet. Ideal for all ages and abilities, players of any position can benefit from being more agile and gaining an advantage over slower opponents. Measuring 46cm across for even the biggest feet to fit well inside, the four different colours (green, blue, red and yellow) help keep you focused on your foot placement.